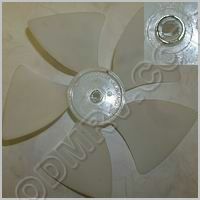 Fan Blade ceiling 510227  - $8.95 : Out-of-Doors Mart!, More Airstream Parts on-line than anyone! 510227 old SKU3197 - This is a 7 inch ceiling fan blade white.This blade fits motor part 3 510228. 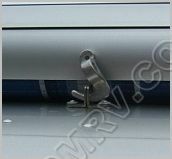 It is used on many Airstreams. See pictures below.